Mother's Day is this weekend. No really, it's this weekend! I have no idea how that happened so quickly, I really don't. To me, it seems like it was just Christmas and now it's already inching up on summer vacation. The good news though, is that if you still need to make mom something, or you want to add to what you've already made/purchased for her, you can use Fotor to create some really fun photo gifts that Mom (or grandma!) are sure to appreciate. And they're free! I'm playing around with Fotor's Collage Maker . This is just a draft but you get the idea. If you have a printer at home, you can print your collage out and gift it to mom! Making it is free, and it's fun! You could make a photo using Fotor's Collage Maker. There are many different designs and styles, to choose from, and you pick the number of photos you want to use. I'm sure my mom would love a photo collage with a heart printed out. I was thinking of putting a recent picture in the middle, in a heart shape, and then surrounding that with the kids when they were little. I have my oldest and second oldest out of line in the draft though, and that bugs me... they should be switched. I'm also thinking it might be better if I put mom and the kids in the middle (that pic was taken at my grandmothers's, and it was a very good day), and one of each child in the four corners that might be better. Or maybe I'll keep the two youngest together for a corner and add her great grandbaby. See? Decisions, decisions... but that's okay because these kinds of decisions are fun! I could make her a fun photo montage! This is where you juxtapose a head on something funny (putting my mom's face on the body of a queen came to mind) or you add a picture to a fun background. In the example in the picture above, Fotor has put a man skydiving smack dab in the middle of a London street. Funny! The options are plentiful, including a cool transparent feature that can fade photos in and out of the scenery. I liked that feature a lot. AND...in honor of mothers everywhere, Fotor is hosting a contest. One lucky winner is going to get a $100 Etsy credit. I know soooo many of you love Etsy, and with good reason. We are looking for creative and interesting pics, expressing the special and unique relationship you have with your mother. Your image should contain a short text message to or about her, and a number of items which express your relationship. For example, a creative shot of some items which remind you of her would be perfect! Creativity, imagination and originality are the key! Remember to explore all of Fotor’s myriad features to make something really special – and prize winning! While we at Fotor all know that you guys need no prize, and that the sheer exhilarating thrill of the creative process is prize enough, we have decided to throw a few things in as a cherry (or two) on top. Along with having your work preserved for all eternity on the global slipstream of ‘the net’, you also have a chance of winning a $100 gift card from ‘Etsy’. And that’s it! Remember to explore the options of Fotor to get that perfect result! Fotor is always free, always easy to use, and now you can take it mobile. That is a pretty sweet prize! Photo gifts are perfect for Mother's and Father's day! I love this prize, and I love Fotor. My mom adores the kids, and she can't get enough photographs. My mother would love this. She's all about pictures of the kids, and this is a fun way to give her something memorable. Thanks for the great giveaway, too! A great prize. Wow. I love family photographs. I've tons of them all over the house. What a fun contest for Mother's Day. I love making photo montages, I can't wait to try it out. I am going to have to experiment with Fotor. Thanks for the reminder. My mother loves photo collages of all of her children. I will have to give Fotor a try. First love the new look. Second this is an awesome mother's day gift. Photo gifts are one of my favorite to give and receive. This sounds like a great service to do that! What an awesome giveaway to have for Mother's Day! I love making photo collages and winning this would allow me to buy several photo gifts. 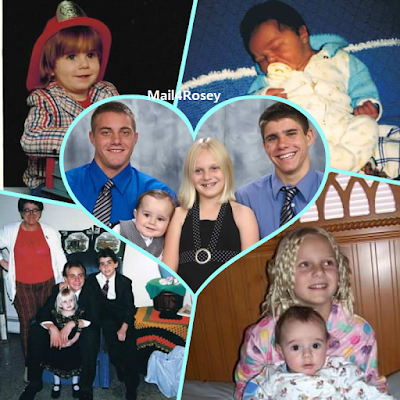 Photo collages are fun to create AND they make an awesome gift idea. I would really love the chance to win an Etsy gift card too! I'm a picture hoarder so I'm all about making gifts out of photos!! I'm going to have to check this out. What an awesome prize! Photo gifts really are the best. All moms love them! Photos are always appreciated and cherished! I love Fotor, too. It's a great website! This is such a cool gift. Awesome idea. I agree this makes a perfect Mother's Day gift! What a great gift especially for Mother's Day. Love Etsy! I'm always trying to remember to print out photo books and make photo gifts. I love them! I love this idea and it is a unique way of saving photos. Can't wait to try it. I love photos. I never print them because I never remember but I have so many! Photo gifts are mt favorite. I prefer them over all else! I am wanting to organize my prints and love photo books and collages. Great giveaway you have here. That's a pretty nice giveaway! I like Etsy, so just might take you up on this one! So many decisions to make! I like that they have so many different ways to work with favorite photos. Photo gifts are my favorite! They're so special and so personal! This is the first time I've heard of Fotor so I had to check it out ( lol ). And, it looks like I know what's going to eat a lot of my time in the next few days. I love to check it out anything that's photography-related. I'm planning to just give my mom money for her surgical operation and medical checkups. Right now, the most important thing as well to gift her is time and support of the entire family. The photo montage looks great though and we might create one for her on her birthday next month. I used to use FotoR for my photo editing and loved it... then they changed the layout :( I never knew they did photo gifts too. Thanks for this giveaway!! Perfect for mother's Day! Photo book are always such a nice gift! Aweome round-up! I love pictures so of course this idea really appeals to me!!!! Thanks! I love photo gifts- I used to do them all the time for family. I need to start doing more again. This would be a great gift for mother's day. I love receiving photo gifts. Great giveaway, I LOVE Etsy gift cards!! I also love that collage maker, great pic!! I seriously cannot believe that Mother's Day is Sunday. How did it creep up on us like this? I feel like I'm going to blink and the kids' will be out of school for the year. I hate to admit that I do not have a gift yet for my mom :( I got one for my MIL, but still have to rush to shop for mine, and I think she would love a photo gift. Thanks so much for the idea, and the reminder to hurry up and shop! This sounds great! Photos are such a great gift for anyone. My family always loves it when we give them photos. I'll have to look in to this for Mother's Day gift ideas. I love using and giving photos as gifts. I think they're such great ways to relive memories. Fotor is a new company to me - I am heading to check them out! I love giving photo gifts. Happy early mothers day to you!!! I need to appreciate my mom more. I would love to send her a great gift for Mother's Day. This is a great opportunity. I want to honor my mom this Mother's Day, especially since she recently moved. I feel like these holidays keep creeping in on me since I am so busy running a household and blogging. My mom is so incredibly helpful with child care and just being a great mom so I'm putting together some great things to pamper her--last minute but whatever. And of course photos like you mentioned are involved! What a cute collage. The heart design is perfect for Mother's Day, but I need to check it out to see what other amazing options they have. what a cute little craft for moms! I love photo collages, so I would love to receive this from my son! Considering I NEVER know what to get my mom. This might be just the idea I was looking for. I have a ton of photos i have taken over the years. I love to frame them and put them up on my walls. I like to give photos in a nice frame as gifts. Would be a nice gift. I love Fotor! The new Mother's Day banners you can add are adorable! What an awesome gift for Mother's Day! Sounds like a great app and giveaway. What a great giveaway! I heard of Fotor before but forgot to check it out. Will do now! Love winning contest AND love shopping on Etsy. It's a win, win. This is awesome!! All mummies would love this!! Photo gifts are my favorite kind of gifts. Not only are they one of a kind, they bring back special memories each time you look at them! That is a great way to make photos and I'm loving the word free here... will have to check it out. Yikes! It IS this weekend!! Well, since I get to be the one that "gets" a day, I guess that's why I didn't notice! I'll definitely keep fotor in mind for FATHER'S day, since that's gonna creep up on me, too! I love the idea of photo gifts! Fotor does make great collages. Love them! I have to admit, I had never heard of Fotor prior to your post but it sounds like something I would enjoy. I like to give photos to friends so it would be perfect for that. Thanks for letting me know about it. Photos are my moms favorite possession. Her walls are full of them! I love photo gifts both to give and to receive!! I know all of my family loves to get photo gifts with of my kids for the holidays!! I personally would love to get one as a mom of my own kids as well! First of all, thanks for the great giveaway! I'm an Etsy addict and would have a blast if I won the $100. Thanks also for sharing about Fotor.com - I didn't know much about them before reading your post, and I love the idea of using them to make a personalized photo gift for my mom & MIL! I love photo gifts. They are so personal. Its a great way to have your favorite image around for a long time! What a cool contest! I love how easy it has become to create, thoughtful, personal and unique gifts online. Wonder what photos my stepson would upload to represent me... A designer bag? A martini? Jewelry? Tofu bacon? Homemade waffles? What a great store. I love homemade gifts like this! What a fun contest for Mother's Day. I love how easy it has become to create unique gifts. Photos are my moms favorite gift. I think making photo gifts are some of the best! It would be great to gift my mom photo gifts of the kids! I know several people who would love this. Nifty!! This is a great gift idea. My Mom would love this! This sounds like a really nice app! I have so many photos of my son and makin a collage would be nice! This sounds like a great way to make a photo gift! I am loving this special idea. I have a grandma who LOVES this sort of thing, especially for special occasions! I love that this is a free app and that you can do so many different things with the photos we all have saved on our phones. And the giveaway is awesome, too! How lovely! I love photo gifts, therefore I will definitely have to check out this company. how cool! I'll check it out..thanks. Great giveaway. My mom would love this! fantastic giveaway!!! i love making pics for grandparents, and they always love them. Etsy is an amazing place to shop! With Mother's Day literally just a few days away, photo gifts are definitely one of the best gifts to give (and get)! Ohhhh a Mom could go nuts on Etsy... I love photo gifts. Nowadays I have to look electronically, but I love when we put it on print for greeting cards or on our walls. Great giveaway. I love photo gifts! I've not heard much about fotor so I'll definitely have to check them out! I'm a fotor user and so this give away is awesome! I'd never heard of this service before! It sounds like a great service! Thanks for sharing. Then do we lose copyright over the photos? I love making collages! I need to make a few out of recent pics.